Choosing a color scheme is one of the most important decisions in the logo design process. Not only do the right colors play an important role in a logo’s aesthetic appeal, they also communicate meaning. Below, we’ll take a look at what the various colors in a logo stand for in order to help you choose a color scheme that will communicate the right message about your brand. Here are the different colors in logo designs and what they mean. Red is a vibrant and energetic color that is associated with passion, excitement, and anger. It’s a powerful color that can elicit strong emotions in the people who view it. If you want an exuberant and edgy logo that creates a strong emotional response then red is a good color to include. Like red, orange is an energetic and vibrant color. However, it isn’t quite as mature and serious and is a little more playful and casual than red. Children often prefer the color orange, making it a good choice for children’s products. Orange is also an appetizing color, making it a popular choice for food and beverage companies as well. As the color most associated with the natural world, green is a calming color that conveys the idea that your brand is natural and eco-friendly. Since green is the color of cash, it’s also associated with wealth and is thus often used in logos for financial institutions. Blue is the most common color in logo design, and over half of all logos incorporate some shade of blue into their color scheme. Blue is the color of intelligence, trustworthiness, and maturity. It’s often associated with technology and is therefore an especially popular choice for tech company logos. However, blue can be successfully used in just about any logo design. White is the color of cleanliness and purity, which makes it a popular choice for pharmaceutical companies, cleaning supply companies, and many more. In most cases, though, white is better used as an accent color rather than the primary color in your logo since too much white will be seen as sterile and bland. This is especially true since most logos displayed online will be displayed against a white background. Brown is an earthy and masculine color. Like green, brown is associated with nature as well, though it is most often more associated with the rough and rugged side of nature than the calming and peaceful side. If you are selling equipment, sporting goods, or other products geared towards outdoorsy customers then brown is a good color to include in your logo. Black is a modern, powerful, and luxurious color. It’s also a very formal color, though, so if you are going for a fun, casual brand image then black is best avoided. If prestige, luxury, and class are the connotations that you’re aiming for, though, then black is an excellent color to incorporate into your logo design. The color of femininity, pink is a fun, playful, and lighthearted color that is a good choice if your brand is targeted almost entirely toward female customers. However, the color pink will repel many male customers, so it’s not a great choice if you are attempting to sell your products or services to both sexes. Yellow is one the brightest and most cheerful of all the colors. It is often associated with childhood and therefore is often used to promote children’s products and brands. If you use yellow in your logo, be sure to stick with the brighter shades as dull or brownish yellow is associated with sickness. Grey is a neutral middle ground between white and black. It’s a serious and mature color that is often associated with industry and manufacturing. Grey by itself can also be a very unexciting color, though, so unless neutral and unexciting is what you’re going for it’s better to include other colors in your logo as well. Purple has long been seen as the color of royalty, dating back to the times when purple dye was the most expensive of all dyes. Today, purple is still associated with royalty and luxury. It’s a slightly feminine color, but certainly not so much that it excludes male customers in the same way that pink is prone to. Things have changed, technology has advanced, and today, most individuals use geolocation to get data. For example, if you are traveling to a new destination, you may need geolocation to use navigators and maps. What about the weather-forecast services or when you want to book services such as Umber. Geolocation is paramount as it saves time by helping users to detect the current location of an individual or item automatically without scrolling down lists to find it. You have probably used the technology to locate your lost phone or laptop at a time you just did not have an idea of what it was. This is not the end of the list of ways in which geolocation has been used to make life easier. Think of a web design, where business owners can add the feature to their sites allowing them to detect the location of the site users. What’s better? You will be able to recognize the location of devices without GPS. The device will be detected using WiFi or its IP address. How great is that? This helps you to know your customers, and you will also be able to familiarize yourself with their purchase history. The list is endless but to cut it shorts, here are some of the reasons why you need geolocation in your mobile app for an improved lifestyle. You can easily use your Smartphone to order food online and get instant delivery. There are numerous food delivery apps, and with geolocation, you can track the delivery person and know how far they are from getting to you. This helps in determining the delivery charge, and to add on that; you can trace any restaurant near you. Online shopping can be fun, reliable and timesaving but requires a lot of patience. If you are not the patient kind of person who wants to know every move about the product, you can use geolocation to track the goods, know when they will be shipped and when you can receive them. The shipping charges will also apply based on geolocation. If you are booking a taxi from a particular point to get to any destination, you will need geolocation. You have probably used it many times, but you had no idea. Geolocation helps in identifying your pickup and drop-in location. The fare you pay for the services is calculated based on the distance between these two points. This technological feature has made booking taxis online easier and simplified than before. Al these benefits add up to one thing, simplified lifestyle. Geolocation apps have made life more convenient and valuable, and its importance will keep expanding even in the coming years. As a business owner, you should not agree to be left out on this. Ensure to add this feature to your web design and watch the conversion rate increase tremendously with time. It has allowed business owners to connect easily with their customers, which is equivalent to business growth. You can get the app from reputable providers such as https://www.localisermobile.net and get started. Whether you are writing an email, a blog post for your personal website or you are developing a client's brand, the type of font you use is of essential importance. It has often been undervalued in our everyday use, but it is as important as the tone of your voice and your body language in public speaking. Our readers get who we are and the intonation of our story based on the vocabulary we use, but also the font of our text. While writing any text, it is important to know which fonts to avoid. Standardized fonts such as Arial or Times New Roman are simply exhausted. Same could be said for a font such as Comic Sans - the popularity of this font made it look repellent to the eye today. Their use has been in our lives for decades. It is time to let them go. To understand which font is best for our use, we need to acknowledge the personality of every font. 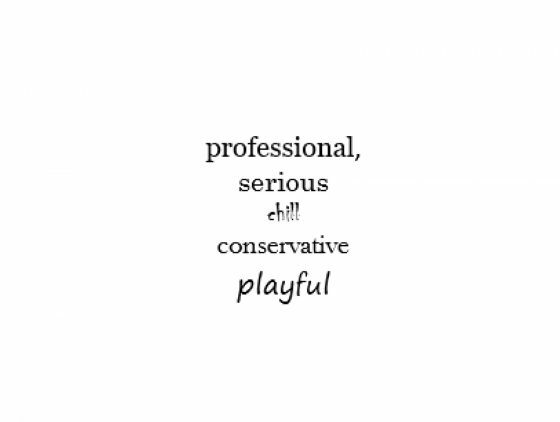 There are all types of fonts - professional, serious, chill, conservative, and playful and many others. Decide on the family of the font you are choosing based on what is the statement you want to say in your text. It is often good practice to use two different fonts in one document - one for the headings and one for the text body. This helps differentiate the chapters and introduces the reader with the content. It is recommended to use two opposite types of fonts. If we use two similar fonts, the point of using two fonts is lost. We should think about the heading that will stick out of the rest of the text. 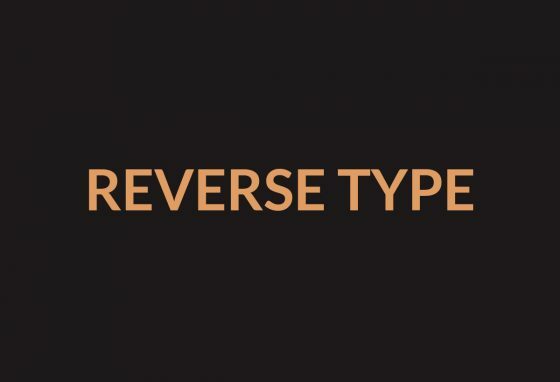 When we are talking about the color of the text, it is somewhat popular the use of reverse type - when your text is in a light color and the background is darker. It is important to highlight that this practice works for the headings but often doesn't for the text itself. It is also good to mention here that the colors used should be exclusively in contrast, and the font should be as simple as possible and tick enough for easy reading. To improve the readability of your text, you can try using serif and sans serif fonts, avoid decorative fonts and use punctuation correctly. Avoid long texts with small or large caps; highlight the words you need using italic, bold, or less recommended by using different size and color of the text. We hope you found this article helpful and are giving fonts some more thoughts and research. What is your favorite font? Tell us in the comment section below. Featured image by Ana Maksimovic, inspired by Spoon Graphics. The choice of evening dress worn at any time is influenced by the occasion. Things like color and material of a dress are also important for specific kinds of occasions. Because of these formalities, it can often be tough to choose the right dress. The process should not be difficult though when you have a clue about the simple basics of dressing up. When considering the color of your evening dress, you need to look at what you will accessorize it with too. Your body type will also work on certain colors but not on others. Here are a few tips to consider when choosing an evening dress by color. There are a number of colors that are perfect for most occasions and most people. Dark colors are particularly quite simple and capable of looking great on anyone. The various shades of white also have the same characteristics. Both dark and white colors represent the two extremes and they are thus not complicated. It is not difficult to accessorize these colors as any other shade of color is good enough to remove the monotony. When you want to play it safe, you can go with these colors and the various shades associated with them. Before going for any particular color, consider the colors on your body first. Depending on the color of your hair, eyes, and skin, some colors may be appropriate or not appropriate. Blonde hair would for instance work with certain colors and not others. German fashion is known to be much influenced by color. The evening dress, also known as Abendkleid in Germany, is usually worn with accessories such as jewelry and various hair accessories for a stylish look. At any particular season, there are some colors which are preferred by most people more than other colors. It is important to take a look around and know which colors are trendy and which ones are not. Fashion is all about looking classy and avoiding odd looks. When certain colors are in fashion, it would be a wise move to follow the norms of the season as doing otherwise would make you have an odd style. Even though it is great to go with trends, it is also important to consider the other factors of coloring when choosing the right shade for you. Lastly, one of the most striking things about colors is the message that they send. Colors are able to express passion, gentleness and other kinds of emotions. The evening dress takes the largest share of the body. Even though accessories are also capable of being symbolic, they are not as effective as the evening dress. You should, therefore, go for the color that expresses a certain emotion that you want to express. Do not be overzealous, though. The rules of coloring are important depending on the occasion. If a certain color is totally inappropriate for an event, do not just choose it because you want to convey a message. Do you know how to choose the colors for your company logo? Creativity is key during this process and so is the manner in which the clients will perceive the color and the logo and its entirety. Choosing the company logos’ color will require some thought and a clear understanding of the brand identity along with the message you want to convey about the company. The brand color scheme is one of the most important decisions when creating the overall identity and aesthetic. This guide can help you understand how colors are generally perceived and can help as a starting point for selecting a defining color scheme. 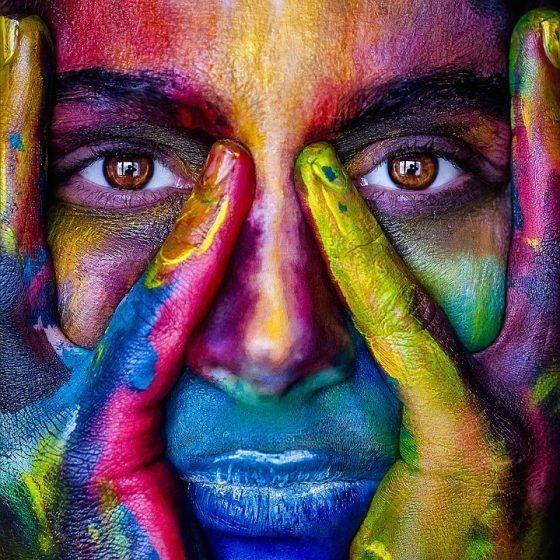 Colors have a strong influence on our emotions and behaviors and marketers, as well as brands, will often put this color psychology to good use. Researchers have long been studying the effects of colors on our feelings and on how we perceive the things around us and undoubtedly some of these are very well known. Selecting a company color should be a decision that takes place when investors work on their trademark. For example, entrepreneurs in Asia can work with their designer to find a suitable color, while creating a distinctive trademark for their company in Singapore. What company owners should know is that they can use the color psychology to choose the most suitable color scheme for their brand logo. The list below is a brief guide of the emotions generally attributed to each of the main colors. Naturally, entrepreneurs can choose a single color or a combination thereof. Foreign investors who choose to open a company in another country can perform a research before choosing their brand color. For example, an experienced team of Cypriot company formation agents can help entrepreneurs start their business in this EU country that offers a very advantageous tax regime. The logo color can fit in a common color scheme for the industry. For example, green is naturally a very common choice for gardening businesses. However, the color selection process should be based on a thorough research to find the company’s true voice, regardless of the ones of the competitor’s. When creating a distinctive trademark in Hong Kong, for example, entrepreneurs who are trying to open a company in the financial industry – one of the most developed ones in this jurisdiction – can stray from the commonly used colors in this business sector, like blue (which symbolizes trust) and create a bold and new logo. The company’s tone and the message it means to send out to the world are all important factors when creating the brand logo. These, together with the chosen color scheme, should come together harmoniously to reveal the brand identity. Derek Hood is a top UK based artist known for his vast collection of unique pieces of artwork. Derek has always been thrilled with drawing and painting, and therefore it was not surprising when he enrolled at University to study Fine c. The university is one of the best when it comes to honing the skills of students in matters of visual artistry. This move helped kickstart Derek’s journey in mastering fine arts as he gained broad exposure during his time at the university where he had the chance to interact with some of the best minds in the field as well as to visit several exhibitions which he drew inspiration from. He was also actively involved in student activities such as leading various exhibitions which prepared him to step into greatness. Since his graduation from the university in 2007, Derek has embarked on creating various types of visual artistry. He started off by focusing on drawing, a field in which he found himself to be a natural. Derek has a knack for creating an image off the top of his head. All he needs are his tools, and he uses a wide array of them such as wax pencils, graphite pencils, ink, and pen. He is also well versed in various drawing techniques using graphite pencil sketches, for example, blending, scribbling and cross-hatching. After practicing on drawing for a while, Derek decided to shift his focus to painting. This decision was informed by a trip to the Sistine Chapel where he laid eyes on various painting techniques that sparked not only his curiosity but also his interest. His style of painting is unique and speaks volumes about his personality and style. Derek prefers to use bright colors which stand out. He applies various blends of primary colors which he mixes deliberately to come up with his paintings. He draws his inspiration from the period he tries to portray or from a culture. He also looks up to the works of some of the greats in the industry for inspiration such as Urs Fischer, Katina Bock, and Kapwani Kiwanga. His latest undertaking has been in the field of sculpture. Derek has always known he had a thing for sculpturing and he is now focusing his time on honing his skills and creating amazing pieces of sculpture. Derek has his mind set on becoming one of the greatest artists in the UK. After completing his studies, he is now focused on creating a fantastic gallery that would stand out for decades to come and which will showcase his unique skills and secure a place for him among the greatest UK artists of all time. Derek has been already well onto his way of making his dream come true. His works have already been featured in several of the top street galleries and art exhibitions in the country. According to Statista, 2015 brought about $59.82 billion spent on digital marketing in the US, and the number is expected to grow to a whopping $113.18 billion by 2020. A field growing in popularity day by day, Digital Marketing has been the talk of the town over the last decade. To some, it remains a cloud of mystery. In this infographic, we attempt to simplify the topic for brands that are just starting out and are overwhelmed by the sheer number of things they have to do. There seems to be an ever-increasing list of activities under the umbrella of digital marketing that demands our attention. Most of them are sadly not worth our time. Here, we cover what we consider the foundation of digital marketing that forms the requisite for greater things to come. Your website is not just a namecard. It can be a source of leads and sales for your business. To do so, it needs to be able to convert web visitors into leads. With a potential customer in mind, you would need to ensure that your website provides them with a good level of ease and convenience, whether in navigating your website and learning about your product, or simply in contacting you. Hence, adding forms to every page of your website can work miracles, and avoids the customer having to strain their mind browsing your website for an enquiry they may have. Meanwhile, testimonials and other social proof from your previous and current clients placed on various landing pages of your website would give a good impression to potential clients or customers, drawing them to look more into and eventually purchase your product or service. This occurs as, instead of you and your website selling the product, your testimonials etc. would do the work for you, as potential clients often prefer seeing proof that your product would benefit them, from those other than your brand’s sales representatives themselves. Lastly, were you aware of the fact that an increasingly larger number of Internet users use their smartphones to browse websites and social media instead of, say, their laptops? This is where the importance of having a mobile friendly website comes in, since a majority of your visitors would be browsing your website through their smartphones and not their laptops. Take a step back on those graphics and animations, and ensure that the mobile version of your website is just as easy to navigate; and see the leads rolling in! Lets put it this way: do you know anyone who doesn’t have an email address? Neither do we. Moreover, Exact targetreported that accessing email is the one task people tend to use their smartphones for the most; yes, even more than connecting to social media. Hence, reaching your current or potential customers through their email may be the best marketing tool you may have the liberty to use. An email marketing campaign’s ability to be personalised specifically towards each customer gives you all the more reason to consider this particular marketing tool since. Often enough, customers seeking your product may not always be aware of that new blog post on your website, or that brand new service your company just launched. With email marketing, your customers can be made aware of all this, as well as new promotions and updates specifically catered towards your loyal customers. Moreover, A study by Adobe found that your current customers are 9x more likely to convert than 1st time prospects. How would you jump on the email marketing bandwagon, you may ask? It’s quite simple, really. After you’ve complied a list of all your customers’ emails and contact details, you can pick one of several email software providers –Mailchimp, for example, is completely free for your first 2000 subscribers! –and proceed to blast your emails. Other tools such as SumoMe, Leadpages or OptinMonster can always be used to continue collecting more emails, and by sending out regular and attractive emails to your customers, you earn their loyalty. Search Engine Optimization –or SEO, as it is more commonly known –is the buzzword within digital marketing as it stands now. SEO is the top source of organic traffic and leads. With 97% of consumers using the Internet to search for products or services they require, SEO potentially is a vital lead generation tool. So, how does one go about planning SEO? To track your web traffic, install Google analytics; to communicate with the Google search engine, install Google search console; and lastly, install an SEO plugin such as Yoast, if you are using WordPress. After submitting your sitemap to the Google search console, you must begin producing keyword-based content. This, along with ensuring your website’s URLs are short and concise, would gradually move you further up in your potential customers’ search results, hence leading them to your website and, eventually, helping you create yet another source of leads. For more information, check out our comprehensive guide to technical SEO. In the current decade, social media has become the driving force for businesses. Often enough, it can too be said that, without a presence on social media, your brand may just cease to exist. Keeping up with the times is crucial for your business, both in drawing in more customers and maintaining your existing ones. As with the case of email marketing, social media aids your brand in getting the word out; in updating your clients of your new promotions and services, while targeting potential clients with the use of ads. Our day to day lives often feel incomplete without accessing social media a few times a day, at the very least, with Singaporeans, for example, having reported to be spending a whopping 2.2 hours a day on social media. 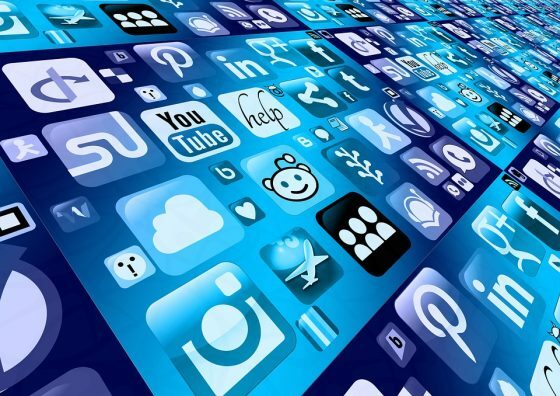 An indication of the role of social media within businesses can be seen too with the online presence of 91% of retail brands on two or more social media platforms. In terms of your website, connectivity to various social media platforms and vice versa should be your topmost priority. This can be established by adding social sharing buttons to every page of your website, and, while sharing posts on social media, ensuring that your posts lead to your website, so as to increase the traffic and resulting leads. However, before you can go about sharing and spreading the word on social media, it is too integral that the content on your website is beneficial enough to your users. Social Media, as the name suggests, is a platform for socializing and not for selling. Hence, brands should strive to provide value and useful content on social media, with the view of building a long term relationship with their audience. Finally, it is also recommended that brands try out advertising on Facebook. It allows them to reach out to a huge group of audience at low costs, relative to other traditional ads platform such as newspaper or magazines. However, there must be proper strategy in place if one is seeking to obtain a positive ROI from their facebook ads. To that end, you can check out our guide to Facebook advertising. Blogging is an up-and-coming method of leads generation. It is premised on the idea of using information to create trust with today’s highly educated audience. Pay close attention to your content, and always prioritise quality over quantity. If consumers of your blog posts are put off after having read just one low-quality piece, chances are they might not return again to your website when a new piece is published and promoted. Look to your customers’ recurring queries and frustrations, and turn them into blog posts; not only would your blog posts then be of interest to your customers, but they too would gain more traction as compared to other, less significant topics. Moreover, the content itself should be in a specific tone of voice that would attract customers; easy to read and conversational tones which can also be promoted on social media are often the best approach. Take your time in copywriting the headlines of your articles too; with the fast-paced life that we currently live, your customers would more often than not only read your article’s headline, and then go on to read the rest of the article if and only if it piques their interest. Adapting to the changing tone of the world has become crucial, with the fear of you and your brand being left behind quite real. Your customers now expect you to maintain an online presence, while it has been proven time and time again that digital marketing, as compared to more traditional marketing perspectives, outperforms in all aspects, whether it be cost, convenience, or audience reach. Following these hacks listed above, digital marketing would be less of an uphill task. Verbal vocabulary, just as much as visual, is a key to storytelling. Whether you are an artist, designer or in the marketing field, expanding your vocabulary gives a special spice to your narrative, but also develops an intellectual and sophisticated language for professional communication. English is a world spoken language, and the new era of technology is reshaping the language structure every day. E-content replacing books; blogs and vlogs trending in the virtual world, using the slang of the language and draining the word bank syllable by syllable - creates an alert for seeking new inspiration in the beautiful and rich English language. A solution for introducing the variety of English language back to our lives could be a modern adaption of an old fun for the whole family game. Remember the Scrabble? It is a game where two players expand their creativity and vocabulary. Simply mind challenging and competitive game you can play all day long. Yes, Scrabble is back in the game! Curious about this adaptation? We can tell you more! Scrabble World Finder Guide is a new platform with an extraordinary dictionary of English words. With it's elegant and simple design, it is also an example of a stylish website in 2018. What this website offers is an ability to quickly find the word you were looking for by simply writing all the right letters in the search box. And just like in the Scrabble game, it generates the maximal length of the word you could result with the letter input, as well as all the words created by the combination of those letters. For example, for your input "SILEBL" it generates 40 words for you, such as "LIBELS", "BELLS", "ISLE", "BIS" etc. This feature is creatively called Scrabble Cheat on the website. Among other features, you can search all the words that start with a letter of your choice and choose the length of the word (Words With Friends). You can also be specific whether you are playing Scribble for the US, UK, or if it is game with worldwide rules. What is particularly interesting about this platform is, as we mentioned, that is it a practical dictionary. 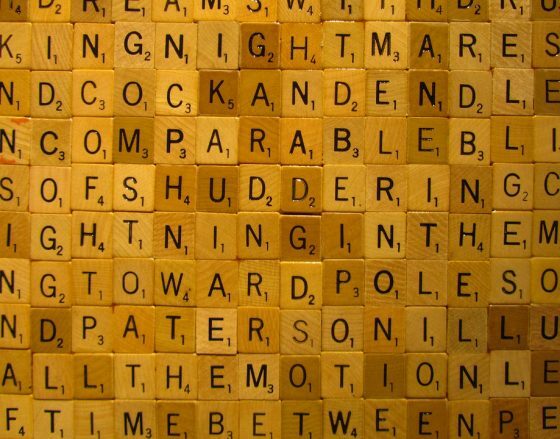 In fact, for every word you discover on Scrabble World Finder Guide, there are one or few explanations to the both - word meaning and its practical use. There are many benefits into playing the Scrabble game. It improves your spelling, expands your vocabulary, develops your analytic and mathematical skill, and it never gets boring, especially if you're playing it with friends. Readers of COLOURlovers and professionals in your industries, it's time to step up your game, engage your both hemispheres into this creative research, and have absolute fun while playing and exploring! Whether your business is a new one or an existing one, you still need a good website which will help people to easily find you. Whether you hire a web designer or do it yourself, it does not matter because what matters is that you have a beautiful and well functional website that allows people to find you and the necessary information easily. Let’s find out the reasons why your business still needs a professional website. A professional website will help your business to gain credibility and that credibility will bring you more business. People are searching online for things they want, solutions they want for their problems, to get information, to compare prices and to do other things and if you do not have an online presence, it can be very difficult for you to create the credibility necessary for any business. So, find a good web developer for web development of a professional website for your business to gain more credibility and bring in more business. A website will help you to easily showcase your work. For example, if you are in web development for web design, you can easily showcase the work you have done and if it is of good quality, it will impress your prospects and will convert them to your paying customers. 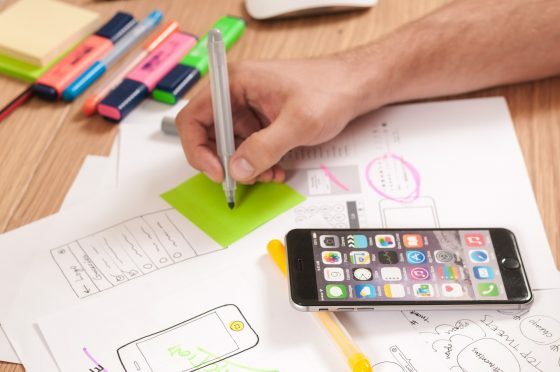 If you want an app to go with your website, app development can help you to create one which will be in line with your website and will provide extra assistance to your prospects and customers and help in converting them to paying customers. When you compare the cost of advertising through newspaper ads, TV ads, Internet advertising, radio commercials, promotional materials and networking events, your website does not cost a fraction of that in the long run. It will help you save thousands of dollars in a few years. Find a local web designer to design your professional website and that will save you more money in the designing part itself. For example, if you are in Birmingham, you can choose a web design Birmingham firm or company to create your professional website and it will be more economical. And once your website is up, it will do some of the advertising work for you and thereby will save you lots of money. 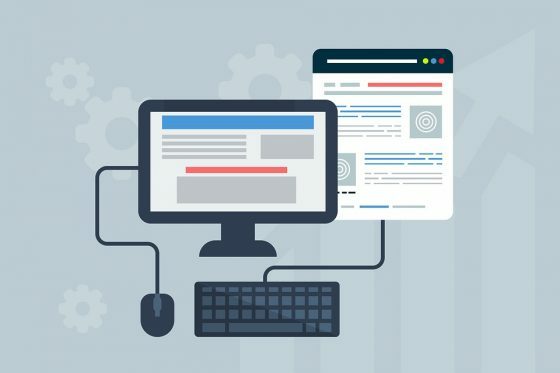 One of the main reasons why you pay web developers to create your professional website is to convert prospects or people coming to your website into your leads. It is a very efficient and economical way of finding leads who will become your paying customers. It is a way of finding leads without paying anything. When you have a website, it becomes easier for your customers to find you. If you have a website it will show up in Google search results and now it is people search Google for anything. If you don’t have a website, how would you show up in the search engine result pages? The more you show up, the more people will find you, the more possibility of finding customers for your service or products. When you want to look trendy and stylish, you must have a number of trends that you adorn every once in a while. It is not difficult to be trendy as a man even if you do not have a keen eye for the fashion world. There are a number of timeless styles that are always great for all seasons which you can choose. In 2018, a number of styles have already established themselves. Here is some 5 best men's fashion trends for 2018 that you should keep an eye on. 2018 is the year when many people are embracing the softer and comfortable clothes. It is thus not surprising that suede, velvet, corduroy and other softer materials have been embraced fully by many fashion designers. You will definitely not be out of place by wearing softer textures by the end of the year. In order to achieve the right look though, you will need to be mindful of the colors you choose. Brown, white and black hues are the best for soft materials. The colder seasons of the year are also the best time to catch on this trend. The past few years have been marked by particular silhouette trends. The women fashion trends have specifically been rampant. Last year though, the men trends also caught up. One of the major things about the silhouette trend of recent times is the increase in the size of the garments. Silhouettes are much larger and looser than they were in previous years. In 2018, this trend is yet to wane and you will not be late for the party. Oversized silhouettes look great especially when you have selected the right material and chosen a sophisticated look. Another major trend that you will not go wrong within 2018 is the biker fashion. The biker style that uses dark colors, leather and biker accessories are always great for all seasons. Since this style is popular among many men, the best thing to do when you want to rock it is to add a little uniqueness and sophistication. You can do this by choosing some great biker accessories to go with the clothing. A gothic skull ring for biker could especially do the trick. There are, of course, other accessories like belts and chains which you can also use. Suits are always in fashion no matter the time or season. Turtleneck suits though are a special style that is only worn by those keen enough to try something different. These suits can be paired with a wide range of items including boots, bags and a wide array of shoes. 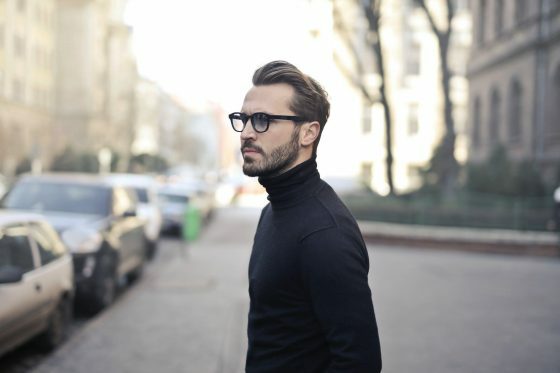 Turtleneck suits are not only great for protecting you in the cold weather but the trend is a smart break from the common shirt-and-tie look. The camo and military trend is a timeless fashion that keeps coming back. In 2018, the military look has specifically prevailed over the camo look. Aviator jackets, army green bags, khaki and other items are functional. It is quite simple to go with this style as inspiration is everywhere. The functionality and simplicity of this style make it very attractive for most men.